ON SATURDAY, MAY 13, 2017. Greetings and Gratitude: “At the favourable time, I have listened to you; on the day of salvation I came to your help. Well, now is the favourable time; this is the day of salvation”. My dearly beloved in Christ Jesus, I greet you one and all with these words of St. Paul from today’s Second Reading. 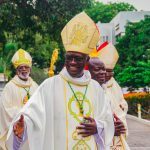 Today, we are all gathered here for the installation of the Second Bishop of Keta-Akatsi Diocese. First and foremost, let us thank God and the Holy Father, Pope Francis for the gift of a new Bishop. We have been quite anxious for this gift, and finally it has been given; let us also thank the Apostolic Nuncio, Most Rev. Jean Marie SPEICH for working diligently and very conscientiously to make this happen. We cannot but also thank the Most Rev. 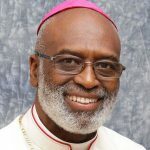 Emmanuel FIANU, SVD., Bishop of Ho who had to assume the responsibility of Apostolic Administrator for this local Church. I also thank my brother Bishops for inviting me to be the homilist for this memorable occasion in the life of this local Church. In fact, today, Saturday, May 13, 2017 is a very special day because at this very moment, the Universal Church is also gathered in pilgrimage with Our Holy Father in Fatima, Portugal, celebrating the Centenary of the First of six apparitions of the Blessed Virgin Mary in 1917 to the three little children, Lucia Santos 10, Francisco Marto 8 and his little sister Jacinta 7. The two Marto children who died in 1918 of influenza are being canonized today by Pope Francis. So let us join Our Holy Father in prayer and celebration with joy because our Lord God says: “At the favourable time, I have listened to you; on the day of salvation I came to your help. Well, now is the favourable time; this is the day of salvation”. The calling of a prophet: My dearly beloved in Christ Jesus, we have just listened to God speak to us this morning in these very powerful and power-filled readings of Holy Scripture. Our First Reading is the call of the Prophet Jeremiah, “son of Hilkiah, of a priestly family…in the territory of Benjamin”. My dearly beloved in Christ Jesus, what is God telling you and me by this text? I think it is an eye-opener and an emphatic revelation to everybody that God the Creator has a well-thought out plan for each one of his sons and daughters in his eternal wisdom long before we are even conceived and born. And we are, in fact, being exhorted to obediently follow the will of God for each one of us in this life. and say whatever I command you”. What a daunting task! This is what to be a prophet means; to be the voice of God and his instrument for the salvation of his people; a task which might include tearing up and knocking down, destroying and overthrowing; a task which should end up in building and planting. 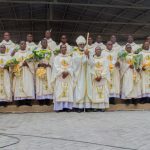 New Bishop for Keta-Akatsi Diocese: My dearly beloved, in the context of today’s installation of a new Bishop for Keta-Akatsi to fill the void that resulted from the retirement of our venerable brother Most Rev. 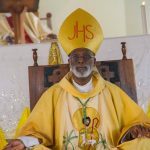 Anthony Kwami ADANUTY, pioneer Bishop of Keta-Akatsi, I can only affirm to you my dear brother Bishop Gabriel Edoe KUMORDJI, SVD., that the Lord our God says he knew you even before he formed you in your mother’s womb, and He had consecrated you before your birth, how many years ago, for this task. Today, He appoints you the Second Bishop of this Diocese. 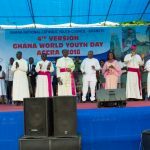 You are now God’s “prophet to the nations” here in Keta-Akatsi, and indeed even beyond. And so, my dear brother and Lord Bishop Kumordji, you have come to the Keta-Akatsi Diocese as willed by God to do nothing but the will of God who has sent you here. According to our First Reading, your task will be “to tear up and to knock down, to destroy and to overthrow, to build and to plant…” In fact, I have been wondering what this should mean here in Keta-Akatsi. In fact, from what I know of this Diocese, you will have nothing much to tear up and to knock down, to destroy and to overthrow except the works and machinations of the evil one. 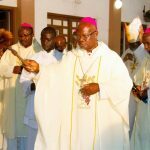 Our brother Bishop Adanuty, the first Bishop of Keta-Akatsi, has done his work so very well that you will rather have more the task of continuing his good work here; to “build and to plant…” more parishes and outstations, to build and to plant more deeply or strengthen the faith of the people, young and old, men and women, weak and strong in the towns and villages of this Diocese. If there is any advice I can give you, please stay in constant touch with the Lord your God who today has appointed you his prophet to the nations here. Always listen to God in prayer and meditation of his Word for directions! 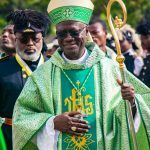 Furthermore, stay in touch with your illustrious predecessor Bishop Adanuty, a man of good heart and cheer, a very simple Shepherd, Priest and versatile Teacher of the Catholic Faith, very much loved by his people, his dear Priests and Religious, as I know it. Yes, indeed, it is all God’s work! God calls us today to embrace his will and his divine plan for the Church in Keta-Akatsi. Let us therefore allow God to make of us the new creation by reconciling us to himself in Christ. “It was God who reconciled us to himself through Christ…” says St. Paul. And the beauty of it is that being a Christian, namely being a new creation in Christ, God has also entrusted to us the work of handing on this reconciliation. As Christians, we are called, each one of us, to be a new creation in Christ and ambassadors for Christ. 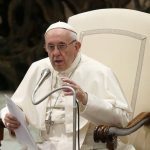 My dear brothers in the Holy Priesthood, and you, dear Religious, today, using the words of St. Paul, I can safely affirm that “it is…God… appealing through us, and the appeal that we make in Christ’s name is: Be reconciled to God…As his fellow workers, we beg you once again not to neglect the grace of God…For he says: At the favourable time, I have listened to you; on the day of salvation I came to your help. Well, now is the favourable time; this is the day of salvation”. 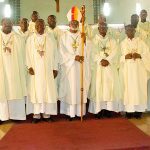 Be reconciled to God: My Lord Bishop Kumordji, my dear brother Priests and Religious of Keta-Akatsi, it will be yours to lead this People of God to that full reconciliation in Christ Jesus. Let the exhortation of St. Paul in the Second Reading of today dwell with you and bear more fruit in each one of you, the dear sons and daughters of this Diocese. Be “ambassadors for Christ”. Please heed the passionate appeal of the saint as he pleads: “be reconciled to God”. I am sure someone is wondering in his heart and mind, “Ah, why this insistence on reconciliation? What has this preacher heard about our Diocese? Are we divided and fighting among ourselves?” No, my dear friends! Not at all! In fact, when St. Paul talks about reconciliation, he does not suppose that there are parties at loggerheads with each other that need to be brought back into unity. No! He is rather calling attention to the fact that due to the sin of Adam and Eve, humanity was estranged from God and from the perfect delight in his divine goodness. This estrangement between God and us is what Christ Jesus through his suffering and death has restored. “Now you are (able) to appear before (God) holy, pure and blameless – as long as you persevere and stand firm on the solid base of the faith (and…) hope promised by the Good News…” (Col. 1:20-23). The Good News is Jesus Christ as we shall soon hear and see from today’s Gospel. But before then: reconciliation to God in Christ is a life-long journey; one of faith and in the hope of reaching the harbor of perfection promised by the Good News one day. In the Church, which is the Body of Christ, this reconciliation to God in Christ is the Good News we preach, a gradual process of conversion brought to fulfillment and perfection in us by the celebration of and the participation in the sacraments as well as by the incarnation of the Word of God in the lives of the people of God. As a bishop and successor of the Apostles, Bishop Kumordji shares in the fullness of the Holy Priesthood of Christ; he is High Priest of the sacraments, Shepherd of the flock of Christ, and Teacher of the faith. My dear Priests, Religious and Lay faithful of Keta-Akatsi, let me once more encourage you with St. Paul that: “… now is the favourable time; this is the day of salvation”. Welcome this day as the day of salvation and open up your hearts to be renewed in Christ Jesus, who is the Word of God. Our Gospel for today is from the Prologue of St. John the Evangelist. In this Prologue, the Holy Writer of those poetically beautiful 18 verses seeks to give a prelude of his entire Good News about Jesus Christ, or better put, John the Beloved and Evangelist seeks to profile Christ Jesus in his mystery-being as the Word, as the true Light that shines in the darkness, as the one who brings about life eternal to them that believe in Him, in fact, to humanity as a whole. All that came to be had life in him. My dearly beloved in Christ Jesus, in the Introduction to the Ordination of a Bishop, Holy Mother teaches us that “among the principal offices of bishops the preaching of the Gospel is (to be) preeminent, for Bishops are heralds of the faith, who lead the new disciples to Christ, and are authentic teachers, who proclaim to the people entrusted to them the faith that is to be believed and that is to direct their conduct (see Dogmatic Constitution of Vatican II no. 25). 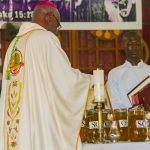 This, therefore, is going to be the principal task of Bishop Kumordji as he takes up the office of Bishop of Keta-Akatsi, namely, he is to be preeminently the herald of faith, to preach the Word of God and an authentic teacher who proclaims the faith that is to be believed and lived. My dear Lord Bishop, somewhere in my sermon, I advise you to stay in touch with the Lord your God… Always listen to him in prayer and meditation of his Word for directions! The Gospel of your choice today tells us that “the Word is God… (and that) “not one thing had its being but through him. All that came to be had life in him.” This is the same word that the Lord God put into the mouth of the Prophet Jeremiah and asked him to proclaim (it) without fear. It is he, the Word of God and the Son of God, the One through whom all came to be, including the Diocese of Keta-Akatsi itself, its Priests and Religious, the faithful People of God, old men and women, young ones and children, its historical and cultural riches, its spiritual wealth and what have you; all that has and had been preordained by God his Father, entrusted to the authority of Christ Jesus as Lord and Saviour, the Eternal High Priest and Shepherd, and today is being entrusted to you. 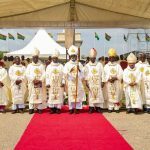 May the Church in Keta-Akatsi grow in this new era truly into a new creation of God! 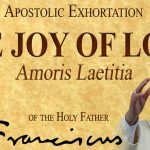 On this auspicious Saturday, and May 13, 2017, that the Universal Church is commemorating the Centenary of the first of the six apparitions of Mary Our Lady of Fatima, let us join our Holy Father Pope Francis on his pilgrimage of peace and hope there, to celebrate this day that Lord has given us a new Chief Shepherd.